Several years ago, I was blown away with the setting of The Secret Life of Walter Mitty-the movie. The empty road, snow and green grasses meet with the amount of mountains. It is like a deserted island with only few people live in there. Right after watching that movie, I know that I should be there, someday. Landing from CDG to Keflavik Airport, Reykjavik, I really thought there will be small and old airport waiting for us. 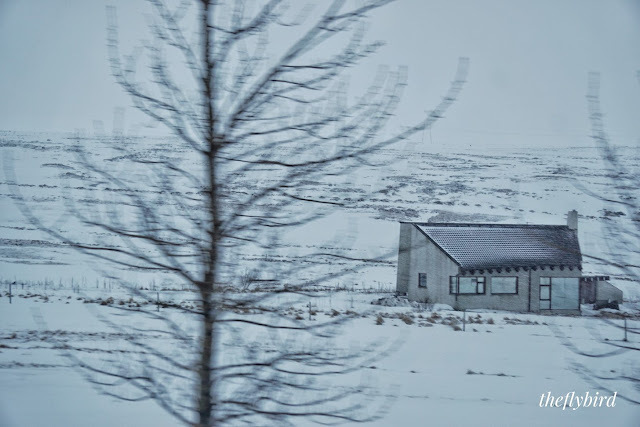 Yet, there is modern and wide airport standing outskirt of Reykjavik. Before we went there, we conduct research (read: googling) how to get some tourism attractions in Iceland. The easiest transportation would be driving your own car. I read, there is bus, yet I rarely see any bus in there.We rent a car from Avis budget, a small compact city car, hyundai I20. The rental fee is fine yet the insurance is quite expensive. Actually, insurance is optional but we didn't want to put any risk since those were our first time driving in overseas. Plus, additional driver subject to charged also. We cannot complain then, since we have no choice. The tour package is also quite expensive and limited to certain destinations. We arrive at afternoon after 4 hours flight from Paris via WOW AIR, low cost carrier originated from Iceland. After landing, we went to the Avis Budget outlet at the Airport Exit Gate. After finishing administrations, we were given keys and looked for the car in the parking area. Right after we stepped outside, the wind blew so hard and froze our hand. The rain were falling, not too heavy but very cold. Checking our phone, there were zero degrees Celcius in March. 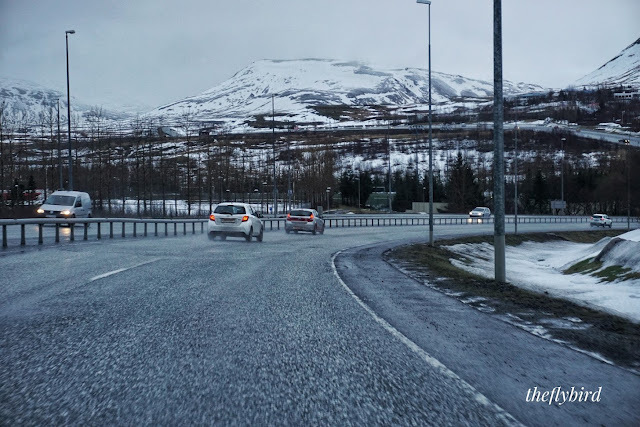 We expected spring is very near but Iceland in March is definitely still in Winter. Kevlafik Airport located about 18 Km from Reykjavik with time distant about half an hour. The street is almost empty but there is speed limit at 70 km per hour. I felt so amazed for the first time seeing snow (because it is my first time), and snow covered hills. Our first destination after checked-in our airbnb was Hallgrimskirkja Church. 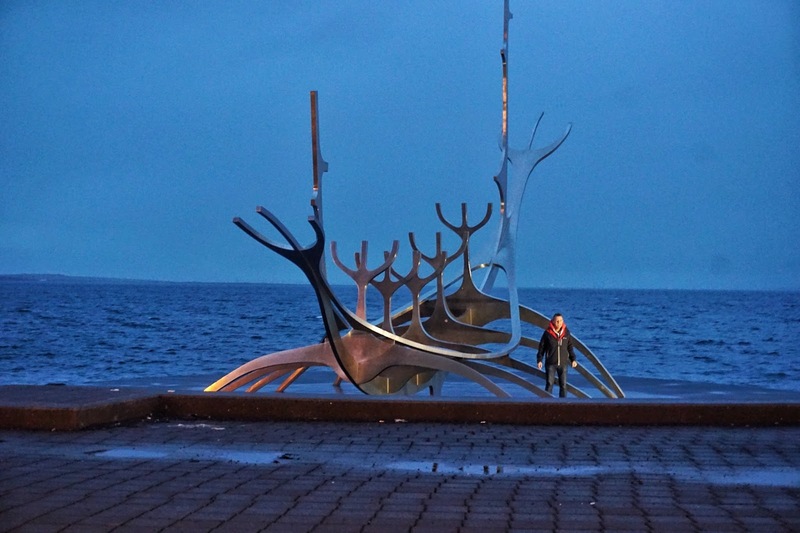 Situated in the centre of Reykjavík, it is one of the city's best-known landmarks and is visible throughout the city. 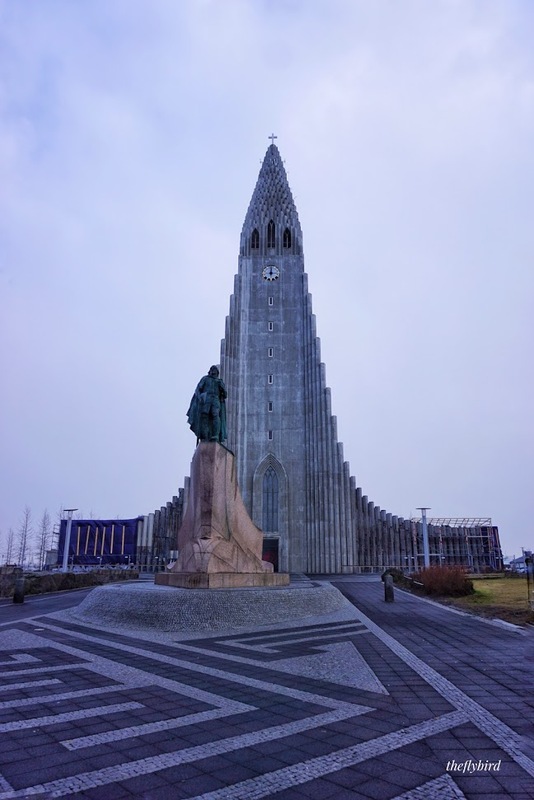 Hallgrímskirkja is a Lutheran (Church of Iceland) parish church.. At 73 metres high (244 ft), it is the largest church in Iceland and among the tallest structures in Iceland. Visitors should be able to going upstairs to see the city view but when we arrived, the church is closed and undergoing construction. We parked our car in there and still free of charge. From there, we walked to the line up shops and went to Harpa Building (Concert Hall). Harpa features a distinctive colored glass facade inspired by the basalt landscape of Iceland. While we were walking, the wind blew so hard and able to push my body away. My hand glove is not working and my both hands freezing. We went inside of Harpa to warm up our body. My both hands and feet were burning. We can't continue to walk under those weather. It was below zero degree and no body on the street. Even we were so cold dead, we strolled around downtown of Reykjavik and notice that the building was similar with another Scandinavia Countries. The minimalist architecture, square windows, two-three storey building and neutral colors would be easily to be assumped it is strongly influence with Danish. 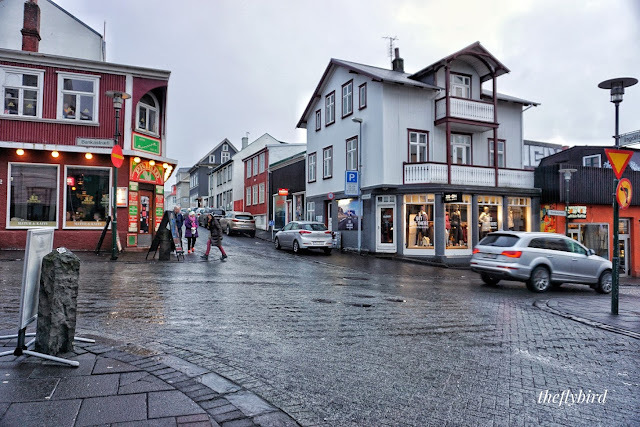 The downtown of Reykjavik is not too large, people definitely can walk comfortably at the paved sidewalk. I can reach the church, Harpa and even Sun Voyager statue on walk (if no hard wind included) whilst enjoying the store etalase. What we found unique also that there is not many franchise in Iceland. There were Mc.Donalds before financial crissis hit Iceland in late 2000's. But there is no Starbucks or seven eleven or may be coop. There is Kentucky Fried Chicken in several places with very different price range (read: expensive). One thing that you should expect in Reykjavik, since it is northen most capital city and quite difficult to reach, almost everything is slighly more expensive than any other capital city in Europe. 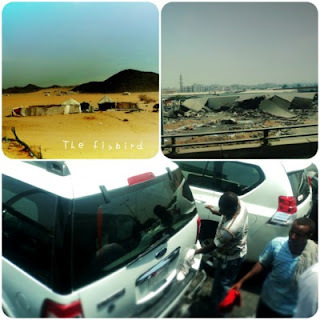 Souvenirs, clothes, meal, acommodations, gasoline and many mores are quite expensive if we compare it to other places. Yet, this is a very beautiful country so there is no point whinning about that. We wrapped up that day with hot noodle and went to apartment. On the way, the snow fell and we knew right away, our chance to see Aurora borealis would be zero. Anyway, at the next day, we woke up in the morning and glad to see the snow stopped falling. We planned to go Golden Circle Tour. We went at 8 o'clock and the sky was cloudy. Driving in Iceland is quite simple and easy. Since there are lot of tourists driving rent car, government seems to care enough to provide lot of traffic signs. The attitude of drivers are so fine, people are obeying the rules and seems patient. 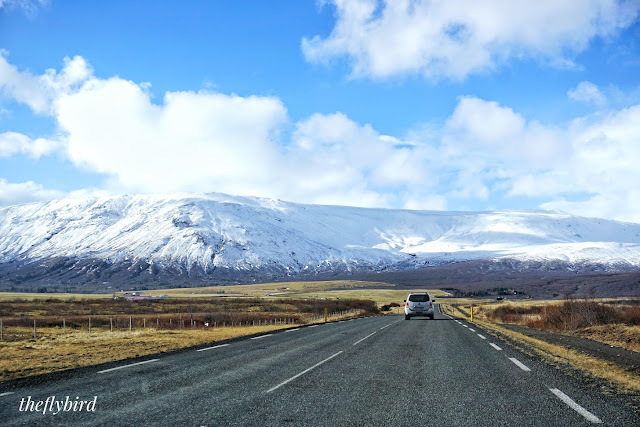 The farther we went from Reykjavik, the more quite the road and the speed is limited only 90 kilometer per hour. There is speed trap in some places especially on curvy road. The Golden Circle Tour allows visitors to get in touch with some of Iceland's most exciting and famous natural phenomena. 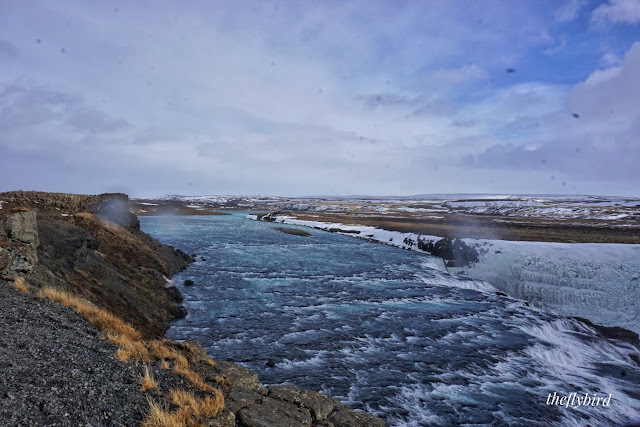 Among sightseeing places are Thingvellir National Park, Geysir hot spring area, Gullfoss (the Golden Waterfall) and Langjokull, the second biggest glacier in Iceland. But the most famous spot of Golden Circle Tour are Thingvellir, Geysir and Gulfoss. The Golden Circle is very popular for tourist that all we can see are buses and vehicles that contains of tourist. 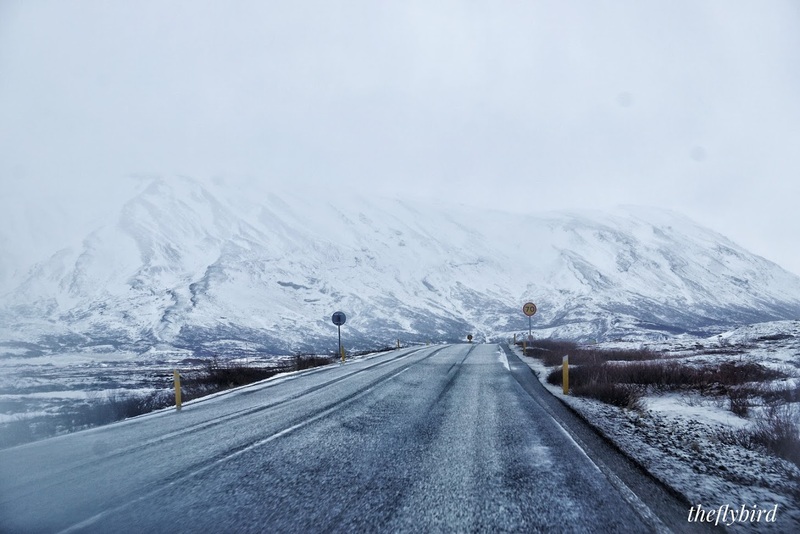 The route is in southern Iceland covering about 300 kilometres (190 mi) looping from Reykjavík into the southern uplands of Iceland and back.May be because it is looping, people called it Circle. 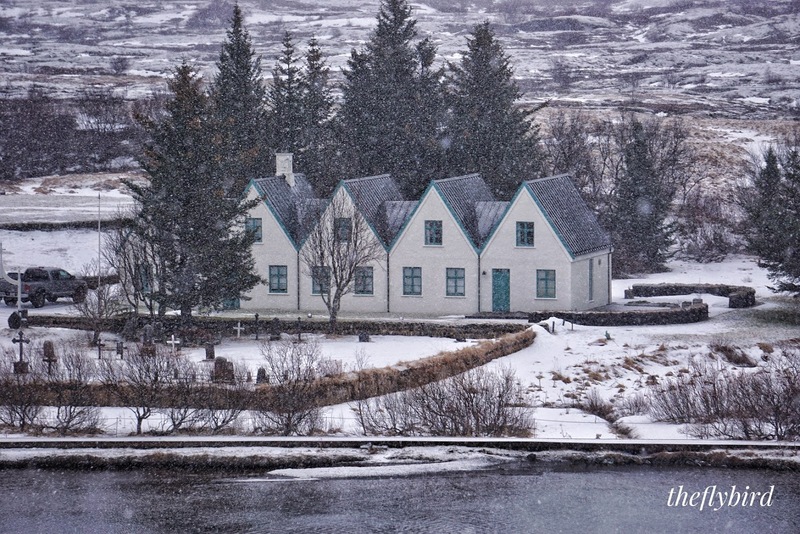 Our fist stop is Þingvellir National Park situated 40km northeast of central Reykjavík. We parked our car in there with flat fare (about ISK 500). This park is very important historical site because the Vikings established the world’s first democratic parliament, the Alþingi here in AD 930. 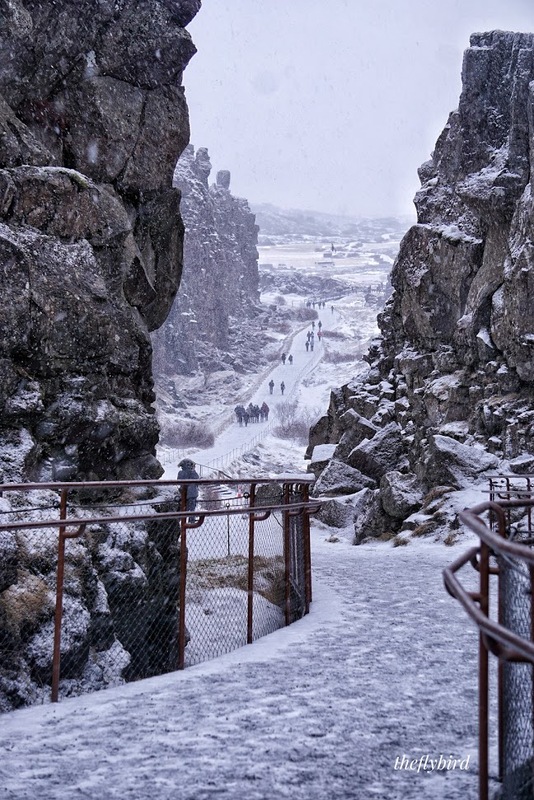 The site has a superb natural setting, in an immense, fissured rift valley, caused by the meeting of the North American and Eurasian tectonic plates, with rivers and waterfalls. When we arrived in there, the snow were started falling hardly. To be honest, I was very ecstatic to experienced my first snow fall. I didn't feel as cold as previous day when the wind blew so hard in Harpa. The snow in there were still thick and we only wore sneakers, that's why our shoes immedietly wet. The view in Thingvellir National Park are amazing, divided into three main point of views. First, view to frozen lake, river and beautifull bridge divide it. Then there is the Althing, an open-air assembly representing the whole of Iceland, was established in 930 and continued to meet until 1798. We can see from the hills, beautiful houses looks blend with the snowy land, a river as clear as crystal and backsound of small waterfall which made the sound of nature. And the third are Rift Valley with its high cliffs makes Þingvellir National Park a magnificent natural backdrop for the open air parliamentary assembly. Then, no wonder Thingvellir is listed as UNESCO world Heritage list. To be honest, it is very rare for me to awe with the stunning view. Yet in there, my jaw automatically drop and made me very grateful to experience this land of beauty. There are some walking trail but some parts are closed during winter. Even the houses, flags and tombs are very beautiful. The lake was still frozen but didn't make less beauty. We've got lucky, when we arrived were still at the early morning that made this park still quiet. When we want to continue our journey, the parking area was already full. Our next stop was Geysir the hot spring area. Situated 60 kilometer from the park via routes 37, we need approximately half and an hour because the sudden blizzard. It was so cool and terrifying since it is our first experience driving in icy road. The snow dropping very thick and made our visibility very limited. There were almost no car in the road and our visibility was only 5 meter long. We only driving city car and we worried for the brakes. Finally, we decide to make a stop and having early lunch. When we arrived at Geysir, the parking area were almost full. There were lot of people already in there. The Geysir field is situated at the northern edge of the southern lowlands, at an altitude of 105-120 m above sea level. The Geysir itself is one of nature phenomenon which original hot-water spout. Earthquakes can stimulate activity, though eruptions are rare. 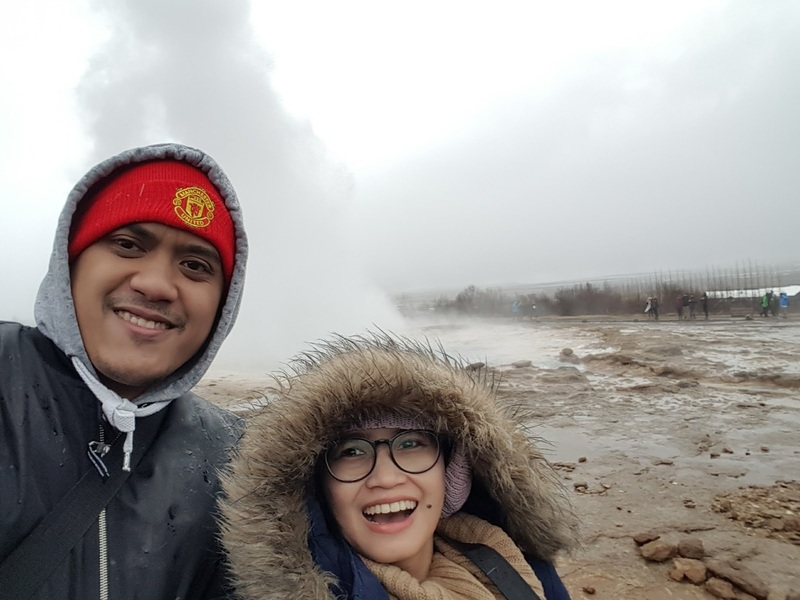 Discovered in the Haukadalur geothermal region, the Great Geysir has been active for perhaps 800 years, and once gushed water up to 80m into the air. But the geyser goes through periods of lessened activity, which seems to be have been the case since 1916. Luckily for visitors, the very reliable geyser, Strokkur, sits alongside. We rarely have to wait more than five to 10 minutes for the hot spring to shoot an impressive 15m to 30m plume before vanishing down its enormous hole. The temperature of the spout water itself was more than 100 degrees celcius. Since it was freezing, we only stayed for 30 minutes and then continue our journey to the next stop, Gullfoss or the golden waterfall. 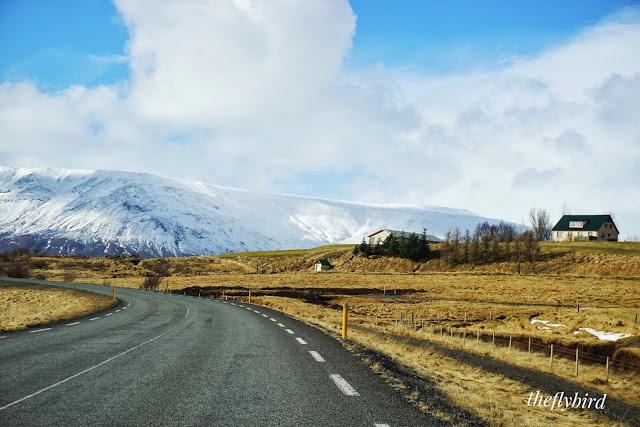 Situated 9.5 kilometer from Geysir, we only need 10 minutes to reach there via route 35. Gullfoss offering a spectacular view of the forces and beauty of untouched nature. Gullfoss located in South Iceland on the Hvítá (White) river which is fed by Iceland´s second biggest glacier, the Langjökull. The water plummets down 32 meters in two stages into a rugged canyon which walls reach up to 70 meters in height. When we were in Gulfoss, the weather was change swiftly. The Sun started to shine, and the sky getting bluer. We wait quite long (still as cold as dead) because we told that on a sunny day shimmering rainbow can be seen over the falls. But we were run out of luck because the sky started cloudy again. There still one spot that included in Golden Circle Tour but we chose to skip it because the weather is so unpredictable and we afraid it will be dark when we reach Reykjavik. We decide to ride back and enjoying the view while the sun is (suddenly) shinning back and the sky get bluer. The Golden Circle Tour itself is not only about the tourism spots. When the weather is clear, the scenery is amazing alongside the road. The asphalt is well maintained even there are no citizens housing nearby. Some photogenic houses built in the hill, alone and have their strikingly beautiful panorama for themself. I definitely adore those houses and can't help thinking what kind of person live in there. 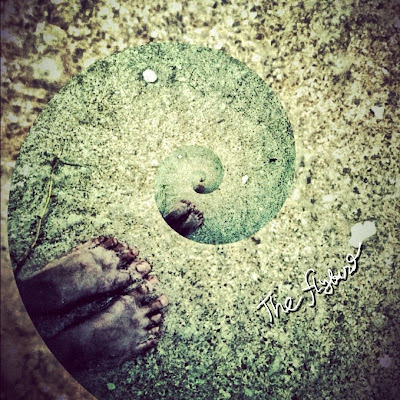 Is (s)he love the nature so much that chose to live alone far from the city of light? Some houses seems not belong to farmer but sort of vacation house. Aside from stand-alone houses, like I said before, when the sky is clear blue made a very contrast color to the snowy mountains along the way. The mountains are not as high as Alps mountains, but definitely made you thinking about the land of White Walker from Game of Thrones. I mean, who didn't curious about Castle Black somewhere behind the mountain? Yet even in our way back to Reykjavik, the secenery is swiftly changed. From the green-yellow grass to the white thick snow which only separated few kilometer long. Don't you think it so amazing? Don't you wondering who live in there? Well, I am randomly asking my husband, 'don't you want live in here?' That's the point when I love this country so much and awe with the beauty of wild preserved nature. Iceland is strongly affected with the Skandinavians Countries. 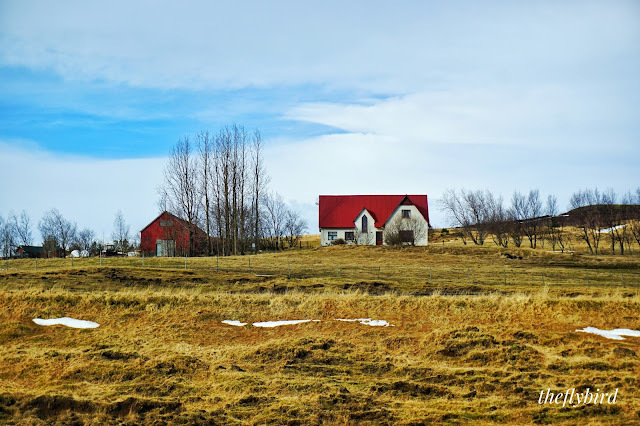 The settlement of Iceland began in the year 874 AD when the Norwegian chieftain Ingólfr Arnarson became the first permanent settler on the island. The island was governed as an independent commonwealth under the Althing, one of the world's oldest functioning legislative assemblies. Iceland thus followed Norway's integration to that Union and came under Danish rule after Sweden's secession from that union in 1523. Until the 20th century, Iceland relied largely on subsistence fishing and agriculture, and was among the poorest in Europe. Industrialisation of the fisheries and Marshall Plan aid following World War II brought prosperity, and Iceland became one of the wealthiest and most developed nations in the world. In 1994, it became a part of the European Economic Area, which further diversified the economy into sectors such as finance, biotechnology, and manufacturing. Iceland ranks high in economic, political and social stability and equality. Iceland runs almost completely on renewable energy such as Geothermal Energy. Only the warmth is used to heat cold water which is then piped towards Reykjavik. In Iceland, several major geothermal power plants produce around 30% of the country's electricity. In addition, geothermal heating meets the heating and hot water requirements of around 87% of the nation´s housing. Affected by the ongoing worldwide financial crisis, the nation's entire banking system systemically failed in October 2008. Since then, the economy has made a significant recovery, in large part due to a surge in tourism.